Much has been written and said about the motivation of people and the team in general. Certainly, in a project team, a project manager who personally cares about each individual, personal ideas and concerns can contribute enormously to the motivation of a team. And it is found that well-motivated teams achieve greater success than their disinterested counterparts, as detailed in this article. But this assumes that there is a well-motivated project manager that instills enthusiasm into the team. So what motivates the project manager? What can block motivation in a project manager? Extrinsic = money. In other words, “I do it because I have to”. Both in work as well as in life, we can meet people motivated by both factors and, more often, by a combination of the two. People’s motivations also change at different times and also in front of different tasks and challenges. To be an effective leader, it is necessary to be aware of the balance between intrinsic and extrinsic motivations. In particular, we need to know what are the things we love and which we would accept even without being paid – in a figurative sense of course. Being self-motivated means doing your job well because you want it and not just because you receive your salary at the end of the month. Individuals, and therefore self-motivated project managers, want to be the best they can, regardless of where they work or what they are working on. Often they take responsibility even when they are not directly concerned. Go beyond the job description of their role. As a project manager, there are always things that are not under your control, but that does not mean that one has to give up. You need to have clear in mind what factors and dynamics you can control and, consequently, focus on doing those well. In short, it is about managing current responsibilities to the best of one’s capabilities. The job is not particularly difficult or demanding? Then find another way to test yourself. Do not let the time goes by by sitting on your laurels and then say you are bored and without motivation. As adults, we tend to stay still with what we have and not look for new opportunities for growth. If you can not get this challenge in the office, you can always search elsewhere, through hobbies, new experiences, etc. Not only continually improving your skills is important for team members, but also for the project manager. Books could be written about the application of mindfulness for a manager. In today’s stressful environment, it is necessary to take a step back and take time for yourself, even if it is just 10 minutes. Life is simply too short to be stressed and to run all day. Everyone, even the project manager, must find a way to maintain the balance and find a healthy stability between work and private life, between obligations and free time, whatever this means for a person. On the other hand, if a project manager does not listen and does not first manage himself and his needs, how will he be able to manage the team members? Entertainment is not intended here as an expensive or time-consuming activity. With fun in the office, we mean the planning of a team event where also the project manager can participate directly. An internal prize game, a treasure hunt in the office, an activity for the whole team outside of the office, there are endless possibilities. Project management is a serious topic, but that does not mean that you can not have fun at work. What do you like about the job? What makes you excited every day? What would you absolutely not want to eliminate from your work routine? When times become difficult, there is a tendency to forget the positive elements of a situation, even in work. This is an excellent exercise not only for the project manager, but also for the team members. In this way, all the positive factors of the profession will be learned and will be clear in mind and, consequently, it will be much easier to find the motivation and continue successfully. So, we have seen the methods for a general self-motivation of the project manager, let’s now see four specific tips to stay motivated when it comes to a particularly challenging project. It is not necessary to be satisfied only once the final goal of a project has been reached. There are intermediate milestones, which could be equally important throughout the whole project life cycle. These can be used to find satisfaction at the end of each working day. If you are facing a dead point in the project, focusing again on personal goals can always be useful and stimulating, as well as a way out. By working on these other aspects, you can find the answer to the problems that are stifling the project. It is important to feel fulfilled every day. But when the project seems to be extended to infinity, it is difficult to obtain this satisfaction. In this case, the key is to make yourself useful in other ways, for example by briefly contributing to another task, helping a member of another team, offering yourself as an extra resource for a temporary project. Probably the most important advice of all. When you are in the middle of a long and complicated project, it seems like this never ends. But one thing is certain, everything will pass. Even if the project does not end successfully, the malaise will pass. If you consider work as a way to continue learning, growing and developing, there is a truth: having managed a difficult experience is the best curriculum you can have. Bad habits: In order to meet the desired results, project managers should be able to evaluate the factors that prevent them from achieving the desired goals and replacing them with positive or productive habits. Lack of adequate resources: In the absence of adequate resources, leaders fail to achieve the desired goals. They may have problems related to lack of funds, lack of qualified personnel, technological limits or management disruptions. Pressures or external circumstances: Pressures and external circumstances hinder the level of self-motivation of project managers. These may be, for example, lack of support and cooperation from stakeholders or team members. Many factors hinder the self-motivation of project managers, these may vary from personal factors such as bad habits to environmental factors or circumstantial factors. Efficient and highly motivated leaders, however, are able to overcome all challenges by exploring ways or alternatives in order to achieve the desired results. We can therefore conclude that self-motivation for a project manager is a fundamental prerequisite and those with a high sense of self-motivation are in a better position to achieve strategic results and drive growth and productivity of themselves and their team. Self-motivated leaders stimulate passion among team members that in this manner want to achieve ambitious goals. These individuals play a crucial role in leading organizational excellence by creating examples and best practices that can inspire the team. What are your motivations in the office? Have you ever had problems motivating yourself? How did you deal with the situation? Tell us about your experience. Managers must recognize and respond to all the factors that can influence their organizations. Navigating through the modern chaotic work environments is like trying to drive a small boat to shore during a hurricane. Just like this small boat, the modern organizations and their managers are faced with a significant amount of factors that require immediate response. The forces that drive this change in the business are known as internal and external environmental factors. The internal environment of an organization refers to events, factors, people, systems, structures and conditions inside an organization that are generally under the direct control of the company. Corporate mission, corporate culture, and leadership style are factors that are typically associated with an organization’s internal environment. As such, it is the internal environment that will influence the organizational activities, decisions, behaviors and attitudes of employees. Changes in leadership style, in the corporate mission or in culture can have an important impact on the organization. Let’s see in detail what are the internal corporate environmental factors. Employees are an important part of the internal environment of an organization. Managers must be able to manage lower-level employees and, at the same time, supervise the other factors of the internal environment. Indeed, even when everyone is capable and talented, politics and internal conflicts can destroy a good organization from within. In business, even the lack of money can determine the survival – or not – of a company. When cash resources are too limited, that can affect the number of people you can hire, the quality of equipment and the type and amount of advertising you can buy. If you have enough money instead, you have much more flexibility to grow and expand the business, or to endure an economic downturn. The internal corporate culture consists of the values, attitudes and priorities that employees live every day. A ruthless culture in which every employee competes with his colleagues certainly creates a different, and more toxic, environment than that of a company that emphasizes collaboration and teamwork. The external environment is composed by factors that occur outside the organization but which can cause internal changes and are, for the most part, beyond the company’s control. Customers, competition, economy, technology, political and social conditions, and resources are common external factors that influence the organization. Even if the external environment occurs outside an organization, it can have a significant influence on its current operations, growth and long-term sustainability. Ignoring external forces can be a damaging mistake for managers. As such, it is necessary that managers continue to monitor and adapt to the external environment. The key is to work in order to make proactive changes rather than having to take a reactive approach and solve problems rather than preventing them. So, let’s see in detail what are the external corporate environmental factors. In a bad economy, even a well managed organization may not be able to survive. If customers lose their jobs or take jobs that can barely support them, they will spend less on sport activities, recreation, gifts, luxury goods, and new cars. It is not possible to control the economy, but understanding it can help identify threats and opportunities. Unless the organization is a monopoly, you will always have to deal with the competition. When you open a company, you normally find yourself fighting against established and more experienced organizations in the same sector. On the other hand, when a company has established itself, it will find itself fighting against new organizations trying to steal a slice of the market. In short, competition never dies. Changes in government policy can have a huge impact on an activity. A classic example is the tobacco industry. Since the 1950s, cigarette manufacturers have been asked to put warning labels on their products and have lost the right to advertise on television. Smokers have less and less places where they are allowed to smoke. Therefore, the percentage of people who smoke is diminished, with a corresponding effect on the sector’s revenues. Next to employees, customers and suppliers are, in most cases, the most important people with which an organization has to deal. Suppliers have a huge impact on costs. The weight of a given supplier depends on the scarcity of his service or product and, consequently, on the possibility of negotiation with him. The power of customers depends on the fact that they are free to choose between a specific organization and its competition. In project management, you can influence those factors that are closer and more directly related to management, such as resources or project management systems. It will be more difficult to influence the more general factors external to the organization. In every situations, the project manager must be aware of these factors. This will also apply to the risks of the project related to harmful environmental factors on which the project manager can not exercise any control. In any case, the project manager has to be ready to act accordingly. Moreover, the project manager is also responsible for communicating and informing the team of factors influencing a project, both internal as well as external. It is therefore essential that every organization knows which of the internal factors represent limiting conditions and which are the drivers of the projects for their correct management. If you have any questions on the subject, please leave a comment. For sure, you are asking yourself: “Gaming and Project Management? Did I read well? “Yes, you read very well! “But how does it work?”. The idea is quite simple: use a game model to create rewards in terms of productivity and goals. It is simply applying the techniques used in games in non-gaming contexts, in order to increase the involvement in the activities. Those who face work as a game do not feel they are working. They are having fun and therefore this method increases the participation to the full advantage of the results. What is the gamification process in practice? In the company there can be various levels in which gaming techniques can be implemented. Here, in particular, we are talking about a completely new level of gaming, in which we play to achieve the highest level of optimization in the workplace. The whole conversion of projects and business tasks into a game vision is called gamification process. The world of work is changing: While some companies continue to maintain a physical office and to follow a traditional approach, others have eliminated it. We are moving towards a new method that has already proved to be a winner: The teleworking system or remote work. One of the biggest problems that is detected within the organizations is the disengagement of employees. “Gallup”, the American company based in Washington, reports that 87% of workers are “actively disengaged” in their jobs. Forcing employees to follow the traditional scheme of the 40-hour work week with limited vacation time is an “old” model that in many situations is already disappearing because it is not very productive. With this strong increase in employee disengagement, the corporate world is looking for other exciting, inviting models, systems and platforms for employees in order to reach the necessary level of motivation and active engagement. In fact, in order to manage workers, especially remote workers, it is fundamental to concentrate on the results they generate and also the working time analysis system should be more flexible. The process of gamification means the application of different elements involved in a game, such as points, levels and rules, to other areas of activity, particularly in the company’s activities. This change to the business model leads, as already mentioned, to a greater involvement of employees in the work they do, making it more like a real game. Thanks to the involvement of employees, the job is done in a more concentrated way and is of high quality because every aspect of the work is submitted to the gamification process. People like recognition and feeling part of something: gamification techniques are connected exactly to this concept. The games consist of points, levels and prizes. Having these elements – considered social activators – in the workplace should therefore make people feel more involved. The idea of combining the gamification process with project management seems perfect. In fact, the premise is to use a game model and carefully design systems and points for the employee around the daily productivity and contribution to the goals of the project. Then, it is possible to have team members who are rewarded and assigned to a higher level each time they contribute to the business in an appropriate manner. The principles of the process of gamification and project management can simply be unified. In the management of the project there is indeed a goal to be achieved – the end of the game – and the team members are the means to achieve this goal – the players. It is also necessary to keep employees satisfied with the environment in which they operate. This will serve to make them want even more work – and success – everytime. Therefore, the combination between the gamification process and project management represents a win-win situation for both the organization and the employees. The idea can evolve in a series of positive situations: One could, for example, have a weekly meeting in which the ranking is drawn up with the number of points of each member; or reward those who reach the top of the ranking with appreciation signals or applause in front of colleagues, etc. In short, every little gesture can be transformed into a great incentive for productivity, if inserted into the game concept. Over the years, studies have shown that this model has really interesting results in the production and quality of the organization. Increased employee morale: recognition can be very rewarding for the mind and can elevate the mood of the employees. The gamification process is revolutionary on the corporate front and the management of the project benefits a lot. This is certainly an advantage, but it all depends on how it is managed. Avoid repetition of the challenges. There is always displeasure when there are high levels of repetition in the activities offered. In conclusion, the process of gamification within organizations gives the opportunity to allow “humans to be human”. Gamification capabilities enable managers and leaders to gain complete trust from their employees and help them increase their productivity. for workers, because their level of satisfaction increases. Gamification processes are slowly catching on and many organizations have already adopted this new system in order to successfully increase the overall production. We wonder if it will become a model recognized by most Italian companies! Have you ever heard of the gamification process? Have you ever taken part? Tell us what you think. Change the way managing projects. What are the skills of the Project Manager today? That’s a good question! Project management is not an easy job. In reality, this is composed by a series of difficult tasks, including the start-up, planning, execution, control, closure of a project and, last but not least, the management of the team. And the project manager must do all this successfully. In order to do this, he must possess a variety of not only technical, but also transversal skills. The project manager does not deal only with systems and processes, but also with people. Here is then a list of 10 skills (9 + 1) that every project manager should have. One of the first skills that come to mind when thinking of a manager is leadership. This is a skill that some consider innate and that can not be learned. However, we think everyone has the potential to learn how to apply leadership techniques. Leadership can show up in different styles, depending on the personality of the project manager. This aspect is closely connected with leadership. It is not possible to be an effective leader if one is not able to articulate needs and necessities, but also praises and compliments. Not only does a project manager communicate with his team, but also with stakeholders, suppliers and customers. Communication concerns not only a personal level, but also specific tools such as reporting or collaboration tools via chat, file sharing and other means that allow to tag discussions. This is a technical skill, absolutely essential in a project manager – otherwise it is very likely that the job chosen is wrong. The only way to achieve the project goals within the established time frame is to divide the goal into individual activities along the timeline and to associate one or more team members to each activity. In short, this is planning, and it is the heart of what a project manager does. There are many tools that help this process. One of them is the Gantt diagram, which provides a visualization of the program with tasks, duration, dependencies and milestone. Doing anything is a risk. Planning a project, big or small, is also connected with some risks. It is part of a project manager’s job to predict these events before they become real problems. Therefore, before carrying out the project, it is necessary to insert the identification, the assessment and the control of the risk. The more a project manager is able to manage risks, the more likely his project will be successful. Of course, it is not possible to anticipate everything that could happen during the life cycle of a project. Unforeseen problems can arise, so a valid and ready process to handle them when they arise is needed. The concept is clear, without money you cannot do anything. Once the budget is created, the first task is to make sure that this is realistic and that it is possible to meet the financial needs of the project. After that, the costs should be checked regularly during the execution of the project. Failure to meet this requirement could harm organizations that manage limited budgets. A good project manager has the ability to finish projects not only respecting the time, but also respecting the given budget. Being good at negotiating is similar to communication, but it deserves a separate discussion. Negotiation is not limited to negotiating the best price from a supplier, even if this is part of the job. Managing a project means being in constant negotiation. For example, stakeholders could make requests that may impact the scope of a project, and these must be managed and negotiated. The same goes for the possible conflicts that will arise between team members or other people involved in the project. Strong negotiating skills will resolve these conflicts before they explode and threaten the project. Project managers are not the only ones who can benefit from this ability. Most of us do not think, but react and follow a series of answers that we have said or learned, like an automatic pilot. Critical thinking is simply objective when analyzing and evaluating a problem or situation, so that an impartial judgment can be formulated. Every day we are working on a project, we want decisions to be impartial. The only aspect guiding the decision should be to pursue the best thing for the project. This is another technical skill that should be impressed in the DNA of a project manager. There can be countless activities that complete a project that must be created, assigned and managed. This means that poor management in this process can have a serious impact on the success of the project in general. In these situations a project management tool could be a valid help. Features that promote collaboration with the team and which help to prioritize and provide instant updates when tasks have been completed or are running are needed. This skill is often overlooked by project managers and is the one that probably needs more attention. It is possible to be negligent in favor of meeting deadlines. Respecting deadlines is certainly important, but the project in general is useless if it produces a product or service that is poor. With this we do not mean to be a comedian in the workplace, but there will for sure be a time and a place for a bit of healthy humor. The sense of humor allows to have a different perspective, allows to see a problem in a different way and, maybe, also to see a possible solution. Humor relieves stress both in the case of the project manager and the team. Only when the tensions are resolved, in fact, actions and ideas can be more profitable and productive. The sense of humor also helps morale. Working hard does not mean that the environment must be suffocating. Although this may seem absurd, this ability is definitely not to be underestimated as far as project management is concerned. So, these were the most important skills that a project manager should have in order to improve his effectiveness and productivity in project management. Having these skills will not only benefit the organization, but also the managerial career in general. For you, what are the most important skills that a project manager has to have? Have we forgotten something that is relevant to you? Write us your opinion. Visual Project Management is an interesting approach to project management. A project management strategy designed to increase success by visualizing project components like data and activities. It is a proven fact that people receive more than 80% of information through the sense of sight. From the most tender age, we write and draw in order to visualize our thoughts, emotions and things to remember. Why not use this way to make work simpler and more efficient? In fact, visualization is something we can implement in project management. By adopting a visual project management, teams and organizations can complete projects of any kind with more speed and efficiency. Visual project management therefore becomes a technique for work management. Instead of listing activities in “to do list” or wasting valuable time tracking information in the mailbox, shared files and spreadsheets, it is much easier to track the work using a visual activity management tool. Visual functionalities can be a valuable resource for any design style, but are more commonly associated with agile methods like Scrum and Kanban. In a certain way, Visual Project Management is inspired by the old school blackboard. The board acts as a roadmap, progress tracker and collaboration tool for all types of development teams. This is why in TW project, besides the use of visual tools we have already talked about (such as the gantt chart and issue management), we have created real blackboards. Physical whiteboards are a common way to share information, for example to gather topics for a meeting. In Twproject, we find the “digital twins” of physical boards. A blackboard is an “open space” where everyone (almost everyone, security is always in the background) can insert a message. Here’s what a used blackboard looks like. At any time during a project, hundreds of single data are manipulated, transformed and communicated. These data include labor estimates, capital and operating expenses, activity lists, performance metrics, calendars, cost-benefit analysis, risk profiles, trend data, etc. As business speed increases and the need to focus on increasing numbers of data in order to keep project execution under control, new and innovative tools and techniques are needed to help project managers. The visualization of complex data and processes has proved invaluable in meeting these needs. Traditional visual tools such as Gantt charts, Kanban cards, process diagrams, project team calendars, stakeholder organization graphs and similar are advantageous in their own way, but they do not tell the collective story of the general state of the project. Complicating the issue, sponsors and key project stakeholders may no longer have time for long project status reports or weekly briefings. Decisions must be made at the moment, with any data available. For this reason, the traditional discipline of project management, that exploits processes and documents approaches in a “heavy” way, is quickly abandoned in favor of more agile methods. Some studies have also shown that the information presented in text formats is ineffective and inefficient. The human eye can see visual schems 65,000 times faster on an image with respect to a tabular form. These facts have therefore led to the creation of a new niche within the project management community known as Visual Project Management. Regarding the current methodology, many of the useful visual tools combine the best aspects of Kanban and Scrum to which project teams are accustomed. Some users have started calling this style “Scrum-ban“. The key advantage of this new approach is speed, as critical project information can be produced, replicated and digested in more efficient and effective ways. Resource allocations, or over-allocations, through the project or multiple projects, are clearly visible. Visual Project Management can accelerate progress by sharing project information in real time in such a way that is easier to access, understand and transmit. Today’s project manager has much more to manage than just the project scope, deliverables, communications and teams. The visual management of the project is not really a radically new approach that messes up the discipline. It is just a set of tools and techniques that reinforce what we already know: people work and manage projects more efficiently when they have a clear vision of how the project components move and connect with each other. The best way to represent and share this information in real time is not with a spreadsheet or series of emails, but an image. Have you adopted visual project management in your work too? Tell us about your experience. Manage your project in a visual and intuitive way. Project requirements are a key aspect in order to complete the project on time and without exceeding budget limits. This is one of the essential skills of a project manager, often underestimated, which consists in the collection and analysis of these aspects of the plan. Understanding clearly the requirements of any project you are about to undertake is very important. Too many projects have failed because of no well-defined requirements. 47% of projects failed due to poor requirement management. There are no two identical projects: each project has its own set of requirements and it is a project manager’s responsability to identify them correctly. The more complex the project is, the greater the need to define the requirements in order to find certain processes for each part of the project. Stakeholders hear the term “requirements”, but everyone get its meaning in different ways, depending on the goals. Therefore, before we can examine anything, it is essential to have a univocal operational definition. Quality: they describe any condition or criterion that validates the successful completion of a project result or the fulfillment of other project requirements. But why are the requirements so important for a project? When requirements are not clear, projects are at risk; they may not produce the desired and necessary result. At least, the missing requirements involve reworking. In short, the lack of project requirements or their poor definition produces negative impacts on the program and on the budget. Obviously customers, as well as team members, will not be happy with these shortcomings. We examine the essential steps to arrive at a correct identification and processing of the project requirements. A project manager can not expect the project requirements to be delivered on a silver platter. Stakeholders may not know exactly what they want and should therefore be helped in formulating their requirements. A good project manager knows how to gather the requirements. In case he does not know, he will have to ask for help from those who possess the skills. Interviews / questionnaires: this technique is usually used in the case of large groups. Having a large number of interested parties does not allow to organize an individual interview. Be careful, however, to ask the right / pertinent questions for a correct and real collection of the needs of the interested parties. Interviews: a tool that involves personally stakeholders in order to understand their needs. Interviews can be facilitated through personal meetings or phone calls. Benchmarking: in this technique, a comparison is made between existing practices and market best practices. With the gap analysis with respect to these examples of excellence, possible project requirements can be. Context diagram: these diagrams represent a pictorial visualization of various interactions between users and different systems. Therefore, they describe the necessary steps to obtain the results and they may be suitable for identifying the requirements. The word “analyze” means to break down or examine in detail the constitution or structure of something. If the situation allows it, one of the most powerful ways to analyze is to create prototypes or diagrams. When users can see and / or touch things, it’s easier to see what they like and what do not like. A prototype or a diagram is more tangible than simple data. Which features and functions offer the maximum benefit for the project? Which ones can cause the greatest risk? Once analyzed, the requirements are documented and formalized in the project document. What the project manager must do in general is to keep his team and client focused on clearly defining project goals and mapping valid, detailed and understandable requirements. All this, in order to create a final solution that provides what the customer really wants. A requirement is basically a declaration of something that someone needs. That something is a product or a solution that performs a service or a function. Even if it is verifiable, reachable and well declared, a requirement that is not necessary for the final solution is not really a good requirement. Of course, the definition of the need will depend on the context and circumstances and must be deepened by the team and the client in each specific situation. A requirement must state something that can be verified through quantification, inspection, analysis or testing. It is also important to determine the specific criteria for acceptance, which will consequently guarantee verifiable requirements. The requirement must be within the budget and must be technically feasible. It is important not to write requirements for things that can not be built or that are not reasonably within the budget or project timeline. This is not always easy to determine and a project manager may not have the experience to judge whether a requirement is technically feasible. In this case, it is necessary to ensure to include the members of the development team in the review process in order to predict technical problems. It may be necessary to do a research in order to determine the feasibility of a requirement before it is added to the project baseline. A good requirement is understandable by all the subjects involved in the project. It expresses a single thought, is concise and is written in short and simple sentences with coherent terminology. In this way, as you progress in the design and development phases of the project, the requirement will not change in meaning and will always remain clear to everyone. Another advice is to formulate the requirements with affirmative language whenever possible. For instance, it is easier to develop and test a product that does something specific than one that does not do something specific. In conclusion, we can say that a thorough understanding of how to design, modify and adapt the requirements processes is the key for a successful completion of the project. Have you ever found yourself in difficulty in collecting and analyzing the requirements? How did you handle the situation? Tell us about your experience. Business Coaching. How to prepare for the best by strengthening 4 key skills. (Article for Project Managers). Business coaching for a project manager is becoming a key aspect of the business. More and more frequently, the Project Manager deals with events where problems have to be solved, ideas presented and results presented. The project manager spends most of his time communicating with team members and stakeholders, internal (at all levels of the organization) or external to the project. Moreover, we should not forget that he must also motivate the team every day. For instance, empowering and encouraging team members to improve their skills, attitudes and empathy in order to achieve better results has the same importance as solving problems or communicating in the right manner with stakeholders. In addition, the project manager needs strategic skills in decisions and behaviors in order to achieve the objectives of the project. In short, today more than ever, the Project Manager needs to create a work team and “lead” it to success. This means knowing how to delegate, supervise, but also motivate. In short, the role of the project manager for his Team is that of a real Coach that not only dictates the patterns but that also encourages, helps, supports, and gives rewards. For these reasons, a good method that the project manager can use in his own routine is to instruct other people in the project. He can also use different tools that can help him improve goals and communications. Achievement of the objectives (74%). In general, their research found out that coaching in organizations is an effective tool that improves the functioning of individuals within companies. Moreover, according to another study by Bersin of Deloitte (Garr, 2011), organizations that effectively prepare managers for coaching have 130% more chance of achieving more satisfactory business results. Based on the above, project managers should improve at least four skills to become effective coaches. With active listening we refer to a specific attitude. Strive to listen not only to the words that another person is saying, but also try to understand the complete message. In order to do this, the person must pay particular attention to the other. It sounds easy, but it is not! The situations we live have accustomed us to listen only on a superficial level. We take the words of other people, but in most cases, we do not contextualize them, therefore we lose the nuances and key aspects of the message. This is why, if the project manager has at heart the success of the project, he should listen to a deeper level. This means to listen to the meaning enclosed behind the words that are said. Becoming active listeners takes a lot of effort and training. But there are small tricks to start with. Active listening and really transmitting the perception to be actively listening are steps that can be improved. show that you are listening with the use of a smile or other facial expressions and encourage the speaker to continue by using small verbal comments such as “yes” and “mh”. provide feedback by summarizing the concept of the talker and by asking questions to clarify some points. postpone judgments and personal comments at the end of the speech (even if the temptation is strong!). Allow the talker to finish each point before asking questions and not interrupt him/her with contrary arguments. In conclusion, the rule of common sense always applies. You should respond appropriately, treating others the way you would like to be treated 🙂 . These are the questions asked to make the interlocutor reflect. Those questions have the ability to create different perspectives and broaden horizons that had not previously been taken into account. A powerful question brings clarity, action, discovery, intuition or commitment. It creates more possibilities, new learning or a clearer vision. Powerful questions cause people to think for themselves. And when you think of yourself, you generally learn more. The questions are powerful when they impact people and bring them to think. They are usually open questions and they generally start with the word “what” or “how” and are very direct on the subject. Moreover, a powerful question gives the person the awareness of the topic and the opportunity to explore it further. It brings the person to think outside the box, helping to change perspective. Sometimes powerful questions can cause a bit of discomfort, but a powerful question should be free of judgment. It must simply be a curious question. If project managers learn to ask powerful questions, this will help them increase their personal and business communication skills. The key is to always be genuinely curious about the person you are talking to. Direct communication is the ability to communicate effectively during a conversation and to use a language that has the most positive impact on a person. Direct communication is clear and articulated, it shares and provides feedback. It is important to reformulate and articulate the concept in order to help people see from another perspective. Moreover, project managers should use appropriate language that is respectful to the person, for example, words that are not sexist, non-racist, non-technical, not jargon. In addition, the use of metaphors, stories and analogies should be used to help illustrate a point or give a verbal picture and thus help communication. Creating awareness is the ability to accurately integrate and evaluate multiple sources of information and to help people who are talking to the project manager to achieve the expected results. A project manager plays an important role in creating the conditions for raising awareness. He must ensure that people can bridge the gap between where they are now and where they want to be. The project manager is responsible for creating a support environment in which people can explore and discover their skills. Once people know something, the project manager should help them take action in order to allow them to achieve better and more successful results for the project. Project managers are persons that are organized, passionate and goal-oriented. They play a strategic role and are the keys of change for their organizations. They pursue learning, implement changes and achieve success. In addition, they cultivate the interpersonal skills necessary to develop trust and communication among project stakeholders. Have you ever applied these coaching techniques? Are there any others that are important to you? Write us your opinion in the comments. A Work Breakdown Structure, abbreviated with WBS, is a visual tool for the definition and tracking of a project deliverable and all the small components necessary to create it. With a Work Breakdown Structure, the project manager can concentrate on what he has to accomplish as he approaches the project deadline. This is a fundamental tool for a PM as it helps to plan, manage and evaluate any type of project. What are the purposes of a Work Breakdown Structure? With a WBS, we start from the result or the desired final product, we analyze it and decompose it into smaller deliverables or the activities necessary to create it. In a WBS, the deliverable can be an object, a service, or an activity. Focusing on deliverables, rather than methods – the “what”, not the “how” – a Work Breakdown Structure helps to eliminate unnecessary and superfluous work. A weighted WBS helps in planning, costs estimation and risk analysis. It is usually a graph or a visual diagram that defines the temporal sequence and the process of a project. It breaks down into each activity that will be performed during the project life cycle. A WBS is often represented as a structure, as a summary, but can also be organized using tabulations or other visual organizational systems. Minimizes the possibility of forgetting a critical result or a risk. 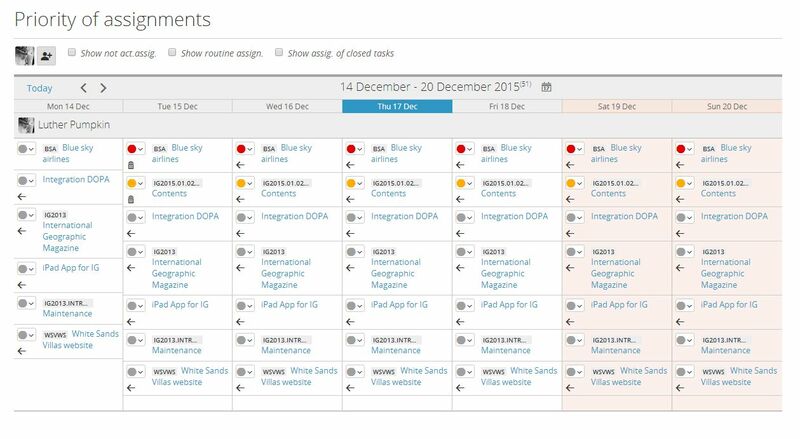 Tabular view: allows team members to easily navigate to the most relevant sections for them. Not all projects require the same type of format. This can and must be adapted to the type of project and the type of members in the team. 1. Focus on the final results, not on the methods / actions. The key lies in thinking about the “what”, not about “how”. The main purpose of a WBS is to define the main deliverable taking into consideration the small components that compose it. If the deliverable is not a physical product, a specific and measurable result must be provided in any case. For example, if you are creating a WBS for a professional service, you need to define the results of that specific service. The work represented by the Work Breakdown Structure must include 100% of the work required to complete the general result without including any extraneous or unrelated work. Even sub-activities, at any level, should be taken into account, because are all necessary to complete the main activity. In other words, the elements in the second level are equal to 100% and the elements in the third and lower levels are positioned within the percentage of the higher level with respect to them. The finished project should never give a sum greater or less than 100 percent. One of the common mistakes is to break down the work too much or not decompose it enough. There are several ways to decide when a work package is small enough without being too small. The 8/80 rule is one of the most common suggestions: a work package should not take less than eight hours of work, and no more than 80 hours. Other rules suggest not to give activities that exceed ten working days – which is equal to 80 hours if you consider a full-time employee. In other words, a work package should not take more than a month to complete. Clearly, this rule should be applied if it makes sense within the project and the industry. In general, work packages should provide activities that can be completed by a team member, or by the team in general, within a reference period. If the team is less experienced and needs more supervision and coaching, one solution is to make the work packages smaller and shorter. If you have a deliverable that may take longer to complete or cost more than your given budget, it may be useful to divide the project into smaller deliverables with shorter work times. With a more frequent reporting and review time, you can solve problems and solve them earlier. Another suggestion is to create tasks and delegate activities at the beginning of a project, but in case and if necessary create new tasks and new delegations during a project. The first step to create a WBS is to bring the team together. Regardless of whether the team works in an office or remotely, it is essential that members participate in identifying derivables. Collaborators must know exactly what is happening. The project manager must also assemble the key documents of the project in order to start the development of the Work Breakdown Structure: the project charter, the problem that the project will solve, the scope definition, the documentation that refers to the existing processes for the project management, etc. To start the creation, it is necessary to define the level one, ie the main result of the project. Then gradually add as many details as possible. From the second level you will descend to the smaller pieces up to the third level, to the fourth level, and more, if necessary. It is important to always define what is required in the previous level in the most detailed way possible before moving on to the next levels. It will be essential to further break down the work. Assign each section and make sure that each owner, ie the corresponding team member, has all the information, skills and knowledge necessary to complete the job. Ensure frequent feedback. The WBS is a dynamic document, whose content can be revisited, even frequently, to ensure the correct execution and delivery of the project. In conclusion, the creation of a Work Breakdown Structure is a team effort and is the point of arrival of multiple inputs and perspectives for the given project. Its goal is to make a large project more manageable. The deconstruction into smaller blocks means that work can be done simultaneously by different team members. This will lead to better productivity and easier management of the project in general. Have you ever created a WBS structure for your project? What tools and methods did you use? Start creating your Work Breakdown Structure. The GTD (Getting Things Done) method is a system that allows to efficiently organize one´s activities in relation to time, thus remaining productive. It may seem complicated from an external point of view, but the ultimate goal is to optimize the time to devote to the activities that need to be done, in order to have more time for the activities that a person wants to do. The GTD method, if used correctly, allows to simplify both the working as well as the private life. In fact, this method can be used in both situations. The GTD is a method used for organizing things to do, based on their priorities and on a – daily, weekly, monthly – schedule in order to make them all manageable. This method allows you to see the activities at stake and to choose efficiently on what and how to work in the future. The GTD method also allows you to eliminate from your mind any distractions that may impede efficient work. All this sounds amazing, but this method is also known to be complicated. Part of the reason for this reputation lies in the fact that there is no single and always valid and correct way to put it into practice. For sure there are some guidelines, but there is no precise scheme to follow. The application of the GTD method varies in every situation. Part of this flexibility makes it easy to customize it in order to suit your needs. On the other hand, it makes it difficult to approach and put into practice. Let´s try to understand how it works in a very simple way. The GTD method is basically an organizational system. In fact, it does not set precise rules on how to carry out the work concretely. Collect and write everything in a notebook, in a Word sheet, on post-it, on any tool you prefer to use for your organization. The GTD method does not tell you to use a specific tool, but whatever you use must adapt to your daily flow. There must be no excuse to say “I will add it to my list later”. Do not just write “Vacation Planning”, but divide it into practical and executable steps. For example: choose the destination, search for the flight, look for the hotel, etc. If something can be done right away and you have time to do it, you have to take advantage of it, and do it right away. If a thing can be delegated, then it should be delegated. Assign expiration dates and deadlines where possible, and set reminders to comply with them. Pay particular attention to the priority of each activity. Right now you are not concretely doing any of the items on the list, but you are just organizing the list and the points, according to category and priority. At this point, the system is realized to make it easily understandable and it’s now time to get involved and get to work. The activities are divided into manageable blocks, of limited size, easy to start. There are no more excuses. Periodically perform a detailed review of the points to see where progress is being made. It is also good in order to see where changes in priorities and categories are necessary and, in general, to verify if the system works. Including the basic premises of the GTD method, getting started is simple. In fact, it is likely that many project managers already use some of the pillars of the GTD and that these are already part of their workflow. It is probable but not so obvious. So, for those who want to try, here is how to get started. First of all, we need a tool to acquire and organize all the ideas, activities and tasks to be done, responsibilities, everything that we need to remember. It is necessary to choose a method, an instrument or a tool that allows us to report the new information given to us as quickly as possible. If the boss announces a new task, in fact, this has to be reported in the tool chosen in the most immediate way. If the current method does not allow this freedom, it must be changed. Here is the point that most people do not: dedicate some time each week, or at the beginning of each day, to really get in touch with things to do. How many of us, entering the office, sit at the desk and start working blindly, thinking only about the individual activities without thinking or having a general picture of the day? Tasks must be organized into specific tasks that can be managed according to schedule and priority. Ideally, if the GTD method is executed correctly, all the tasks to be done should be easily displayed. You can quickly see what is most important, what takes more or less time, what can be postponed. How a person organizes himself, specifically depends on the person, but a fundamental rule is: do not overdo it. If the list begins to fill with categories, variable priorities and all kinds of labels, flags and possible functions, it’s time to get back to the starting point and simplify. And above all, do not forget the periodic review, preferably weekly. The GTD method has a lot to offer, but let’s not forget it: it’s just an organizational philosophy and it’s not suitable for everyone. In fact, there are several other productivity tools and systems to choose from and the GTD method is only one of them. The goal of the GTD method is to devote some time for organizing the activities in order to subsequently obtain a large amount of time that would otherwise have been spent on unnecessary and unproductive work. You will generally be more relaxed, because you will not have to worry anymore with the thought of what to do next, how to do it or when you will have time to do it. Bring this complexity to something simple, light, quickly manageable by the individual user. Many ideas surrounding “agile” and “getting things done” management move around this process. The final result should be to be more in tune with work and to be more involved in the personal life. And you, what method of organization of activities do you use? What is your relationship with the GTD method? Write it in the comments. Complete the activities with the right method. Program managers and project managers, two roles with similar titles will not be so different, right? Wrong! It is easy to get confused for the assonance, but above all because in some companies the Project Manager carries out tasks and activities that are very similar to those of the Program Manager. In reality, the Program Manager and the Project Manager, although sharing similar responsibilities, have positions that are quite distinct due to key differences. Before discussing the similarities and differences between the two roles, it is fundamental to understand what is the difference between projects and programs. Projects are temporary, are implemented one-off, and are generally limited by costs, resources, budgets and time constraints. Projects have clear end dates and short-term goals that turn into tangible results or derivables. The programs are instead composed of several underlying and interconnected projects. These projects complete each other in order to achieve a broader and longer-term business goal. A successful program brings strategic benefits and organizational growth, rather than a single tangible result. In short, a project manager has a more focused view on work within a single project; on the other hand, the program manager has a broad view of all workflows that lead to a “higher” goal. A Program Manager is a professional who articulates the strategy and goals of a program. His assessment will focus on how the program will impact the company in general. The achievement of the general goals will pass from a list of interdependent projects that He (or She) must define, manage, and supervise. The program manager creates a main schedule for managing dependencies between projects. A program risk management plan and a program communication plan are thus created. The program manager therefore does not manage the projects, but rather provides the necessary supervision to ensure that the pieces of each project are completed in an effective and efficient way. The goal is to meet the needs of other projects in order to achieve the overall goal. It may be useful to think of a program manager as an architect who designs a project. An architect does not install the electrical system and does not build the walls of a house, but makes sure that all these pieces come together to create a solid and usable building. The role of the Program Manager goes beyond the completion of individual projects and has as focus the long-term implementation of the whole company program. The responsibilities of the Program Manager include: recruiting teams, implementing strategies, measuring ROI and other high-level activities and tasks. A program manager is a highly qualified leader with a vision towards the future of the company. The program manager should correctly and accurately inform the project managers of the corporate goal that needs to be achieved. If the business strategy changes, the program manager must communicate it to the various project managers so that they are aware of the changes and can implement them into the individual projects. The program manager focuses on the strategy and implementation plan and, as a result, delegates projects according to these factors. The control of a program manager goes well beyond the life span of the single projects and focuses on long-term benefits for the company. The project manager manages the operations of the individual projects within the programs. He (or She) coordinates the time, budget and resources needed to complete the work within the program guidelines. Moreover, he reports to the Program Manager on progress and any changes made to the initial project plan. The role of the project manager is more tactical than that of the program manager. If program managers are architects, project managers are like team leaders. A project manager focuses mainly on the execution and management of the functional elements of the project, this includes meeting deadlines, respecting the budget, delegating activities and achieving results. Once the project has been completed and its goal has been achieved, the role of the project manager, with respect to that single project, ceases. Program managers are strategic; project managers are tactical. One can think and believe that a program manager possesses a wider range of skills and power with respect to a project manager. In reality, a program manager must wear different glasses in order to look at the program from different perspectives and thus have an overview. Through these different perspectives, the correct identification and segregation of individual projects arises in order to achieve the company goal. Once these perspectives are established and segregation is carried out, the role of project managers becomes prevalent. Project managers do not need glasses to get a general vision, but rather they focus on the goals of the project and manage the process and the workflow that can lead to the success of the single project. After listing the main differences between these two professional roles, it remains only to mention a great resemblance between the two. Both are “structured” roles that require heterogeneous skills and individuals who want to strive to make a difference in the business and industrial world to which they belong. Did you know the difference between project manager and program manager? Do you believe there are further noteworthy differences between these two? Leave us your opinion. Manage programs and projects professionally. Schedule management or project scheduling is the process of project time management through milestones, activities and final results, usually indicating the expected start and end dates. A schedule or scheduling is the project or program calendar. This shows how the work will progress over a period of time and takes into account factors such as limited resources and the uncertainty estimation. This process begins with the work necessary to meet the requirements of the stakeholders. This includes the technical / practical work that creates the results and the management activity that deals with aspects such as risk management and stakeholder management. Some types of work can be defined much more easily than other types. Engineering work, for example, tends to have detailed and complete specifications from the start, while some IT activities follow a more iterative approach to define what needs to be done. The approaches to time calculation must be equally flexible. In some cases, you can use rigorous techniques to model the work and calculate the detailed times. In other cases, general estimates have to be made from the start, then, as the project continues, they are constantly refined thanks to the information available. A detailed model can be used to perform “what-if” calculations and analysis to test the result of potential events. For example: “what happens if the X resource is not available in February?” Or “what happens if there are unfavorable weather conditions in March?”. The detailed high-level planning approaches usually follow the so-called “rolling wave” planning. Short-term work is generally better defined and can be subject to more rigorous and comprehensive planning. Long-term work is more vague and subject to changes and will be detailed working progress. The detail window then moves along the program like a “rolling wave”, literally a rolling wave. 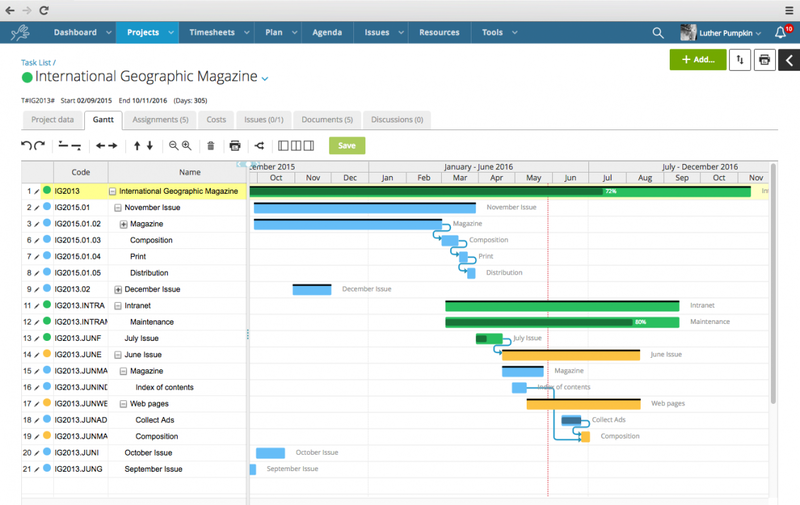 The most commonly used graphic planning form is the Gantt chart. In its simplest form it uses bars on a horizontal chronological scale to show the beginning, duration and end of the various activities. Variants of the Gantt chart can transmit all types of information adapting to the circumstances. At the end of the work scheduling shows what has been planned and what really happened and can be an important tool in identifying and determining the lessons learned. Before deepening project planning, let’s examine the basics. By when will it be done? Once you have the answers to these questions, you can start planning dates, linking activities, setting duration, milestones, and resources. Assign resources: The last step to finalizing the planned program is to decide which resources will be needed to perform these tasks on time. You will have to choose the project team and the time of the collaborators will have to be planned exactly following the planned activities in the planning. As the complexity of work increases, it becomes impractical to maintain a single detailed program. Large-scale projects will often use wave planning in which only short-term work is shown in detail with the long-term work that is shown in summary. As the amount of management activity increases, it may be useful to create separate delivery plans for different areas such as a communication plan, a technical plan, a marketing plan, etc. The need for multiple plans is inevitable as the complexity of project increases. To be effective, the project manager must ensure that similar programming policies are adopted throughout the program. These policies can be defined in a planning management plan. In this section the procedures for the development and revision of the program are established. The personnel responsible for the development is identified and the potential contribution of the project team members is discussed. Written procedures for estimating asset duration and budgets, contingency levels, and resources are specified for the project. Moreover, if the project is complex, a project planning software is very often a useful tool to have. In this section the procedures for measuring and monitoring the project program are implemented. Throughout the project, planning deviations and costs should be known or calculated regularly, which requires an estimate of the percentage of completion of each activity according to scheduling. Which units will be used to measure completeness of activities? How often will it be measured? Normally, any change to the initial project planning must be communicated and approved. In fact, in most cases, someone has initially approved the project budget and deadline and expects to receive results accordingly. That person is usually called the “project sponsor“. And it is the project sponsor together, often, to the stakeholders who must be informed and approve all the changes to the initial planning. What are the appropriate reasons for a change of program? Who must approve the changes? Project planning is probably one of the most difficult jobs of a project manager, but the coordination of delivery dates on estimates can be simplified and made more efficient when you have gained experience and when using appropriate software management. What are your experiences with project scheduling? Write us your comment here. A clear and detailed project documentation is essential for the success of the project itself. Every good project manager knows it well! In fact, it is necessary to be constantly updated to stay on track with the project. However, project documentation drafting can be a difficult and unloved task. For some organizations and projects there are even legal requirements to be met for the drafting and storage of documents. These are mandatory requirements that, if not respected, can make in trouble not only the single project, but the company itself. All clear then, project documentation is important and its correct drafting and conservation is essential. So what’s the problem? The problem is actually very simple: most people hate to compile documentation. It is considered boring and often underestimated or ignored not only by the collaborators who have to deal with it, but also by the people who requested it. Each project is unique and therefore requires unique documentation to help to guide the project to a successful conclusion. Hence, it’s very important to identify which documents are critical for each project. Small projects: these projects last one to four months. The emphasis is on speed and completion of the project as quickly as possible. Examples of such projects are the creation of a website or simply an upgrade of existing systems. Medium-sized projects: these projects take up to 12 months to complete and are the standard for most companies. They are not that fast and usually involve external suppliers. The risk level and control of changes increases with respect to small projects. Super dimensional projects: these are the largest and most complex projects. It may even take years to complete them. An example of this project is the construction of a building. An important question to ask itself for each project is: what is the minimum project documentation needed? In fact, written documentation requires time and money. Therefore, project size has an impact on the number of documents needed. Furthermore, the development of project documentation becomes even more crucial when working with public administration and public institutions. It is, for example, the case of the medical, pharmaceutical or defense sectors. An Australian study of CSIRO (The Commonwealth Scientific and Industrial Research Organization) link to the target = blank site, which took into consideration about 350 companies, found that incomplete documentation caused a reduction in the efficiency of the project. In cases where there was very little documentation, the projects had an average completion of 11% which, to say it is superfluous, is a very low percentage. For small projects, the emphasis is therefore on minimum requirements and minimum documentation. Medium-sized projects gradually require more documentation, while large projects require maximum documentary effort because they require a high level of communication and coordination. Sometimes project managers do not want to create new documents for each of their projects. As an alternative, they can use a wide range of proven project models. This allows the project manager to have more time to focus on the actual project, rather than wasting time on developing new documents from scratch. Whether the project manager manages the entire project lifecycle or simply a phase, he will still have to deal with details and information from various sources. Thinking to the input coming from customers, users and sellers, at some point he will have to write something. Communicate progress and update project stakeholders. Once again we can understand how much correct documentation is fundamental for the success of a project. Whether it is simple paper documents or documentation sent in electronic format, it is necessary to plan and develop the project documentation before starting the project itself. Hence, project managers must anticipate the time required to develop these documents within project planning and update the plan every time a change occurs. Regardless of the organization’s structure, the ability to record and document all aspects of a project is vital to be a successful project manager. Reports, graphs, documents, change requests and status updates must also be kept throughout the life of a project and, very often, even beyond. Customer documentation: a simple example is sufficient for this topic. Imagine that a customer ask to the project manager information about a decision made a couple of months ago. The customer claims to have clearly chosen a direction, but the company has decided to follow another one. Clear documentation on customer meetings, with specific dates, times and participants, will help everyone to remember the decision made and to clarify any misunderstanding. Legal documents: For some projects there are legal requirements that require making specific documents. For public projects, for example, supervisory and review processes may be necessary to analyze a project after its completion. The legal requirements of a project must be clear already at the beginning of the project itself. Process documentation: important processes within a project must be documented. This documentation may also be useful as a resource for any similar future projects. In case of doubt, the best approach is always to document. Project Change Documentation: Project updates are essential to document when objectives, or project execution, change due to internal factors or external causes. Stakeholders must also be informed of these changes and receive the relevant documentation. Taking the time: many people think that the calendar is only used to setup meetings. It’s not just like that! The calendar can be used to program blocks of time to to reflect and for drafting of an essential document for the project. We need to take some time to write an official document. This can‘t happen when you keep answering the phone, writing emails and talking with your co-workers. Likewise, you can plan 10-15 minute blocks every week to review and update the documentation. Enter the right details: depending on the documentation target, this must contain more or less details and, depending on the role of the target audience, the details must be of a certain type or another. For example, an engineer will need the project technical details, while a marketing manager will be focused on other factors. The project manager must to consider the right level of detail in the documentation. Smart Storage: documentation must be easy to identify and easily accessible. This also includes the use of clear and easily identifiable keywords. Share: the documentation must be shared and must not be saved individually on the project manager’s PC. Sharing the documentation, with the right collaborators, also allows you to receive constructive feedback if changes are necessary. Updating the documentation: as the project progresses, it is necessary to ensure that the project documentation is correctly updated. Needless to waste time in writing initial documents and then lock them in oblivion. In conclusion, documentation is certainly a difficult topic for many project managers, but it is a fundamental tool that in some cases can even simplify the execution of the project. Hence it’s important to give the right value to the project documentation. That’s why in TWproject we have made the life easier! Document management is a large topic, so there are dozens of specific applications (called DMS). In Twproject we don’t want to compete with these specific tools. We are, in fact, aware that every company has its own system of document storage, tested and structured. That’s why we have chosen to keep the management of documents to the essential. At the same time we have decided to integrate this aspect with some powerful and simple technique. Therefore, we have created an intelligent system for managing and archiving project documents in Twproject. Your documents will always be one click away from your projects (and resources, and even from issues). In this way you will have access to your documents directly from Twproject: a single place from where to manage everything and put everything available to the team. All while working, also remotely or accessing from mobile. In short, we have tried to meet all the needs of the PM to concretely support the need to manage project documents. And what is your relationship with the project documentation? Is it a difficult task for you or are you part of the project managers who not struggling dealing with it? Give us your opinion, but above all, tell us what are the needs about that. We would like to know what else we may implement in the software to improve your work. In project management, the Earned Value method is one of the most appreciated and well-known project management tools. It is a project management technique that allows to measure performance and progress. It combines the measures of the project management triangle: scope, time and costs. What is the Earned Value Method? In a unique integrated system, the Earned Value Method is able to give accurate predictions on the performance problems of a project. Therefore, you can understand how important its contribution to project management can be. The Earned Value Method method is also known as Earned Value Analysis (EVA). This method allows the project manager to measure the amount of work actually performed on a project. Thanks to the EVA, it is possible to measure the project according to the progress achieved. Using the measured progress, the project manager is therefore able to predict the total cost of a project and its completion date. Often the term “earned value” refers to the Budgeted Cost of Worked Performed or BCWP. This value allows the project manager to calculate the efficiency indices of the project. Moreover, it provides information on how the project is progressing in relation to its original planning. These indices, if applied to future activities, allow to predict how the development of the project in the future will be, provided that the performance indices do not fluctuate. In order to have an accurate Earned Value Analysis, the creation of a solid project plan is needed. In particular, it is possible to use the Scope Statement, the real fondation of a project. In short, the Scope Statement is a document wrote by the project manager on the project start-up. It includes project goals and objectives, final product requirements, major milestones, and project risk analysis. In order to develop that common understanding of the work required for a project, another key structure should be created, the Work Breakdown Structure (WBS). The WBS is a proper list of all project activities, a hierarchical decomposition which focuses on the deliverable of the project. Each descending level represents an increasingly detailed definition of the project’s work. A WBS records the hierarchy and description of the tasks that have to be performed and their relationship with the final product. The WBS breaks down all working sectors into appropriate planning elements. Budget definition, cost accounting, progress measurement and management control. Project planning is therefore a necessity not only for using the Earned Value Method, but also for the success of the project in general. Once the bases have been established, let’s look at the three necessary information that allow to calculate the EVA. the earned value of the concrete work already completed. Starting from these three sources, the Earned Value Method extrapolates the data and is able to compare them. The planned value describes to what extent the activities of a project should be at a determined point in the project schedule and in the cost estimation. The baseline of the project schedule and of the costs refer to the planned physical work and the budget approved in order to complete the planned activities. Together, these two values define an important value: the planned value (PV). This value can be analysed in two ways: cumulative or current. The cumulative PV is the sum of the approved budget for the planned activities that have to be performed in general, througout the project. On the other hand, the current PV is the approved budget for the planned activities that have to be performed during a given period. This period could refer to days, weeks, months, etc. The actual cost (AC), also called the actual cost of the work performed (ACWP), is the real cost incurred for the execution of a task for a project. This value refers to what has actually been spent and, as in the case of the planned value, can be either cumulative or current. The cumulative AC is the sum of the actual cost for all the activities performed up to the historical moment in which it is calculated. On the other hand, the current AC is the actual cost of the activities performed during a given period. Here too the period can refer to days, weeks, months, etc. The earned value is the quantification of the value of the work actually performed up to a certain date. In other words, the EV refers to what was achieved during the project. The cumulative EV is the sum of the budget for the activities performed up to the date when this value is calculated. The current EV is the sum of the budget for the activities carried out in a given period. The variance analysis is a method where the achieved results of a project are compared to the expected results. When a project is approved, certain expected results are established, as well as a planning in order to achieve them. The variance analysis, in case of failure to achieve those results, helps to understand the amount of difference between the expected results and those actually achieved. After having evaluated the gap, it becomes fundamental to understand what were the causes of this failure. This technique is used to highlight cost and time variances, ie the cost variance and the schedule variance. This value indicates how the project is evolving with respect to the initially estimated budget. The cost variance is calculated by subtracting the earned value from the costs actually incurred, here is the formula: CV = EV – AC. If the result equals 0, it means that the project is perfectly respecting the budget. If the result is negative, this means that the project is out of budget, ie the costs incurred are greater than those planned. It is therefore necessary to take action. On the other hand, if the result is positive, it means that the project is under budget, ie the costs incurred are lower than those planned. With respect to the scheduling initially approved, the project may be late, in advance or in line with the initial planning. This value represents the Schedule Variance (SV). It is essential to understand how this value does not provide data on the impact that any delay in work has on the project and its results. It simply indicates whether the work is in line with the planning or not. The Schedule Variance, which shows the actual situation of the project with respect to planning, is obtained by subtracting from the earned value the planned costs up to the moment in which the analysis is carried out. Here is the formula: SV = EV – PV. If the result is 0, it means that the project is in line with the planning. If the result is positive, it means that the project is ahead of schedule. On the other hand, if the result is negative, it means that the project is behind the schedule and it is necessary to take action. Another analysis that can be performed using the Earned Value Method is that of project efficiency. In particular, there are two types of efficiency analysis: the Schedule Performance Index (SPI) and the Cost Performance Index (CPI). The SPI is an indicator of the efficiency of the program of a project. In fact, it is the ratio between the earned value (EV) and the planned value (PV): SPI = EV / PV. If the SPI is equal to or greater than one, this indicates a favorable condition. This means that the project is being carried out efficiently. On the contrary, a value lower than one indicates a negative situation. The CPI is the indicator of economic efficiency of a project and is the ratio between the earned value (EV) and the actual costs (CA): CPI = EV/AC. A CPI equal to or greater than one indicates a favorable condition and a value below one indicates a negative situation. Therefore, in general, it is possible that our project is in line with the planning or is efficient or inefficient. But which are the most frequent causes that determine these deviations? Let’s see them together. Decrease of expenses in general. Increase of expenses in general. Let’s now how to analyze the future. We are not talking about magic, but about what is expected to happen in a project, given the measurements of the progress recorded until the moment we perform the analysis. These estimates allow us to see when the project will be completed and how much it will cost to complete it. Therefore, we examine the Estimate At Completion (EAC) and the Budget At Completion (BAC). The EAC is the total cost expected for a scheduled activity. It is considered that the remaining work is performed on schedule and based on the current CPI and SPI. The EAC is a periodic evaluation of the project. It is usually carried out on a monthly basis or when there is a significant change in the project. A common formula that allows to determine the EAC is expressed as the budget to completion divided by the current project IPC: EAC = BAC / CPI. The BAC indicates the total value of the costs initially foreseen for the project and is calculated by summing the initial costs foreseen for each individual activity. The BAC must always be equal to the total PV of the project. If these two values do not match, the calculations related to the earned value will be inaccurate. Establish objective means to measure the realization of work. The budget should always respect what is planned. Control the project by analyzing the cost and time deviations, evaluating the final costs, checking the changes with respect to the project baseline and developing corrective actions when necessary. It must be clear that applying the Earned Value Method is certainly more complex than it may appear in this article. A lot of discipline and detailed information are needed to manage it properly. But we think, it is useful to simplify the concepts in order to make the approach easier for those who want to experiment with this method. What is essential to remember is that everything starts with good project planning. Have you ever put the Earned Value Method into practice in one of your projects?